This memorial website was created in memory of our loved one, David Sexton, 82, born on April 6, 1930 and passed away on November 25, 2012. Where David Sexton is buried? Locate the grave of David Sexton. How to find family and friends of David Sexton? What can I do for David Sexton? 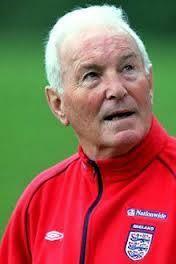 He was an English football player and one of the most respected coaches. Thoughout his playing career he played in Luton Town, West Ham United, Leyton Orient, Brighton & Hove Albion and Crystal Palace. Then he managed several football clubs like Leyton Orient, Chelsea, Queens Park Rangers, Manchester United, England U21 and Coventry City. He married Thea and they had together one daughter and three sons, one of whom predeceased him. Note: Do you have a family photo of David Sexton? Consider uploading your photo of David Sexton so that your pictures are included in David Sexton's genealogy, family trees & family history records. Sysoon enables anyone to create a free online tribute for a much loved relative or friend who has passed away. Address and location of David Sexton which have been published. Click on the address to view a map. David Sexton was born in Islington, London, United Kingdom. 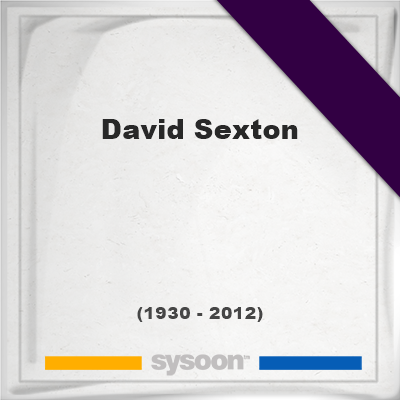 David Sexton died in United Kingdom. Memorial of Angelo Castro, Jr.